So we have heard the saying, How do you eat an Elephant – One Bite at a Time. 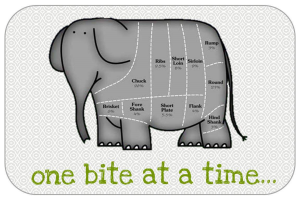 Well that’s not how project managers eat elephants – Project manager share the elephant – divide it up and find the right people to do the eating. The Elephant will be well gone off before we progress any distance. 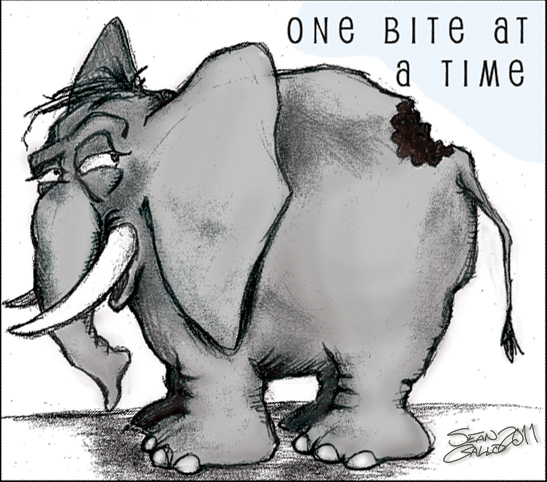 Project management need to create a sense of urgency and if the goal is to get the elephant eaten then we have to share. We will be sick of elephants. We need to give ourselves little goals otherwise we will be sick of the tedious task of just eating the same thing. To share we first must break the Elephant down into manageable pieces. Project manager call this the work breakdown structure. Once we have identified the manageable pieces we find the right person to take on this smaller task. In-fact the The project manager puts together a team of people to work on the job simultaneously thereby getting the elephant eaten as quickly. 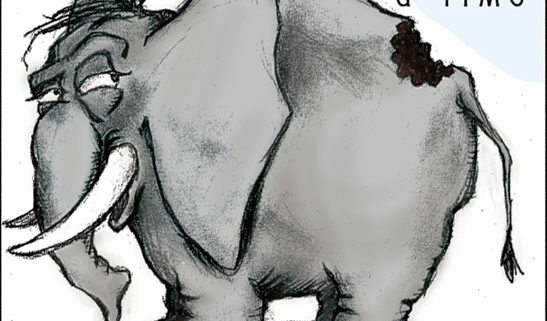 If it all goes well, chances are the project manager didn’t actually eat any elephant, he share everything.